Did you know that you should request a copy of your vendor’s own reports of examination, particularly if they are a regulated entity? 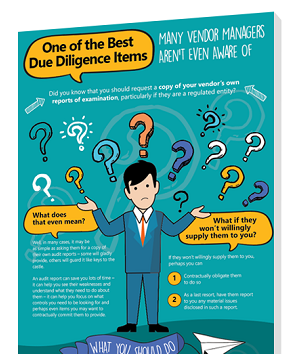 It can save you lots of time in due diligence. We've put together a helpful infographic covering what you need to know.